The Webo SaaS is a comprehensive user friendly software service that does not require programming skills. We suggest that Members customise a Loyalty & Referral Marketing Programme (LPM) starting with the LPM (Loyalty & Referral Marketing App) and that they execute a digital marketing strategy over time in line with their needs for conventional and referral marketing. 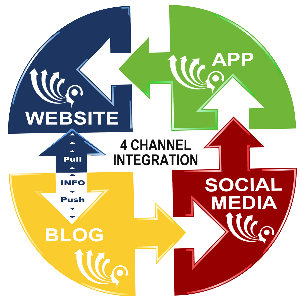 Sites are fully integrated with social media and offer advanced mobile friendly connectivity and CRM. Interesting content attracts audiences and while the content is key the presentation thereof is critical to it being read. We are digital marketing strategists and our Performance enhancement Programme has achieved turnarounds that have astounded many. 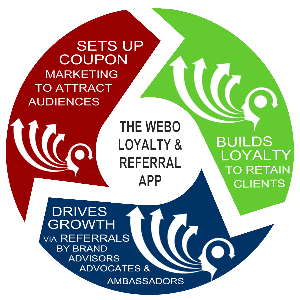 We coach our Webo SaaS Members to formulate and execute our tried and tested frameworks that accelerate growth. We challenge our clients to adopt the mantra; Double Turnover in Half the Time! The marketing playing field was traditionally characterised by broadcasting messages to audiences defined mostly by location via: Newspapers, TV, mail-box drops, magazine adverts and newspaper inserts, etc. 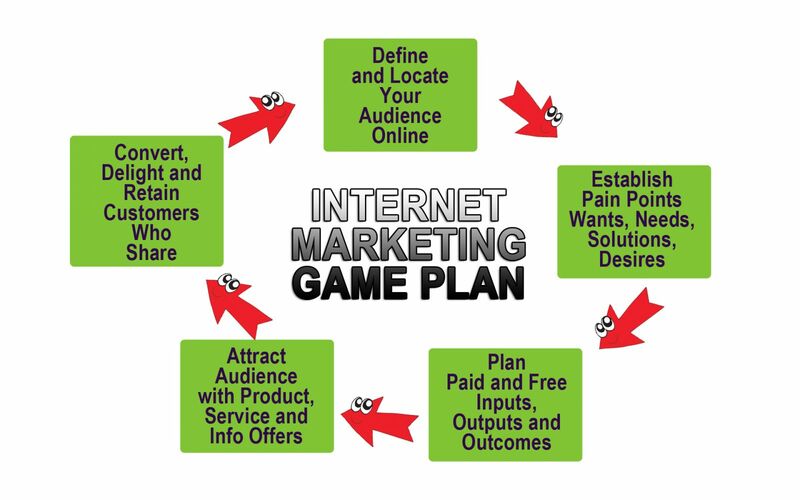 Digital marketing to online audiences enables niche audiences to be targeted by who they are and what they do. Referral marketing acceleration is powered by the principle of give to get. Give people something to talk about and reward customers for doing so and they will make an appropriate referral to their friends and connections. Selecting the reward is critical to maintaing the integrity of the programme. Rewards need to embody and illustrate the value of the services being marketed. Ask us how. of what you supply to customers and partner the responsibility for success. Loyalty is a two-way street. You have to give to get! Be loyal to your customers! Their success will be yours! 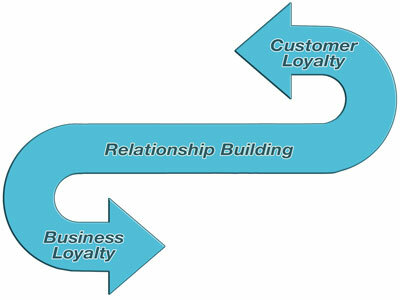 Loyalty programmes shoud seek to find ways of adding value to enhance the customer experience. Value may, but need not be financial. Often the most prized value received lies in non-financial benefits. Gallup states that less than a third of B2B customers are actively engaged with companies that they do business with. This means that over two thirds have no relationships with their suppliers and are thus easily persuded to switch suppliers. 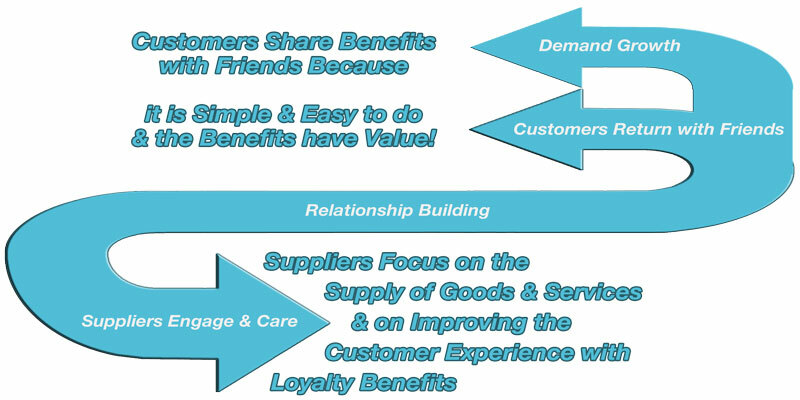 In fact, a good word from a friend or colleague may be all it takes to see the customer switch suppliers. 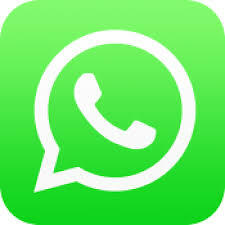 WMC's are a group of non-competitive, like minded businesess that seek to establish formal Customer Relationship Management (CRM) enablers including opt-in customer databases for short messaging, email and for a communicator app. Why be alone on the internet? When the group act together and consolidate campaign prizes that they each market to their customers the results are stagering. If the prizes or other incentives have value and are desired then, provided it is qick and easy to do, the campaign will go viral. If the benefits have value, they will be shared and you will gain visibility into conversations on what is said about the company which offers the opportunity to fine tune and align delivery with satisfaction and expectations. Have a Game Plan & Play to Win! To read more about the PeP CLICK HERE. 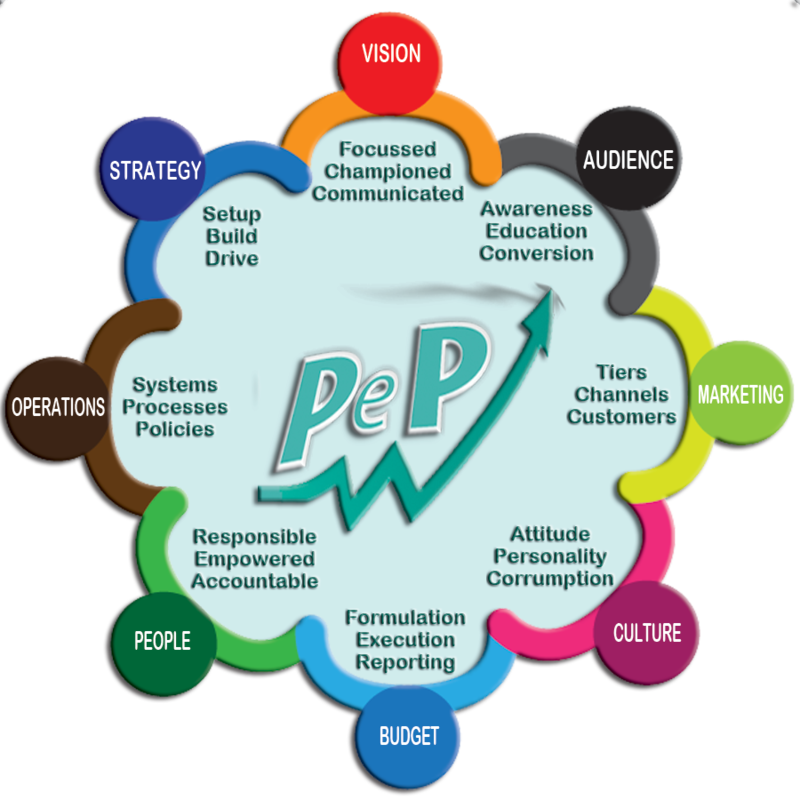 our PeP Frameworks and Methods will show you how.